Are birthers right wing authoritarians? I’m reading this neat book called “The Authoritarians” by Prof. Bob Altemeyer. Thanks to bgansel9 for suggesting the book. Altemeyer has developed a test for authoritarians, and he found that most of them are right-wing politically. In the book, we find studies that correlate high RWA’s with other characteristics, and some of these seem to fit Internet birthers (birthers who comment on the Internet). Chapter 3 of the book has a list of characteristics for these authoritarians. What follows each topic is a brief excerpt from the book in italics, selected to most closely sound like birthers. Sharks live in the sea.. The conclusion does not follow, but high RWAs would be more likely to say the reasoning is correct than most people would. If you ask them why it seems right, they would likely tell you, “Because sharks are fish.” In other words, they thought the reasoning was sound because they agreed with the last statement. If the conclusion is right, they figure, then the reasoning must have been right. When I read that, I could not help but think of the birther reading of the Supreme Court case of Minor v. Happersett. As I said earlier, authoritarians’ ideas are poorly integrated with one another. 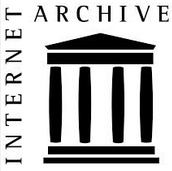 It’s as if each idea is stored in a file that can be called up and used when the authoritarian wishes, even though another of his ideas–stored in a different file– basically contradicts it. We all have some inconsistencies in our thinking, but authoritarians can stupify you with the inconsistency of their ideas. …they don’t seem to scan for self-consistency as much as most people do. Here I would point to the birther assertions that President Obama’s father is both Barack Obama, Sr. and Frank Marshall Davis. I have found many other instances in which authoritarian followers show a double standard in their judgments of people’s behavior or the rightness of various causes. I see this all the time, such as the demand for a double blind study to evaluate the Xerox 7655 experiments, while accepting extremely unscientific results claiming that Obama’s birth certificate is a forgery. For example, the leaders of authoritarian movements sometimes accuse their opponents of being anti-democratic and anti-free speech when the latter protest against various books, movies, speakers, teachers and so on. We see this in the censorship that appears widely on birther web sites. … they have no idea how much they differ from others in that way. And most of the time they get it quite wrong, thinking they are not different from others, and even that they are different in the opposite way from how they actually are. Birthers seem fairly unaware that most people who are well informed and intelligent disagree with them. Well, aren’t most people likely to trust someone who seems to agree with them? Probably, but people differ enormously in gullibility. Low RWAs are downright suspicious of someone who agrees with them when they can see ulterior motives might be at work. They pay attention to the circumstances in which the other fellow is operating. But authoritarians do not, when they like the message. …the authoritarian follower makes himself vulnerable to malevolent manipulation by chucking out critical thinking and prudence 92 as the price for maintaining his beliefs. He’s an “easy mark,” custom-built to be snookered…. The birthers have a willingness to continue to believe Mike Zullo even though he is obviously stringing them along. Well first of all you avoid challenges by sticking with your own kind as much as possible, because they’re hardly likely to ask pointed questions about your beliefs. But if you meet someone who does, you’ll probably defend your ideas as best you can, parrying thrusts with whatever answers your authorities have pre-loaded into your head. If these defenses crumble, you may go back to the trusted sources. They probably don’t have to give you a convincing refutation of the anxiety-producing argument that breached your defenses, just the assurance that you nonetheless are right. But if the arguments against you become overwhelming and persistent, you either concede the point–which may put the whole lot at risk–or you simply insist you are right and walk away, clutching your beliefs more tightly than ever. I found debating on Birther Report that many birthers don’t have a clue what they believe, and when confronted with iron-clad evidence that they are wrong, then retreat to a more general position, like Obama is the worst president ever. Authoritarian followers score highly on the Dangerous World scale…. High RWAs are, in general, more afraid than most people are. I can’t say how afraid birthers are in general. Conspiracy theorists in general seem to think that the world is dangerous and that it is being manipulated by sinister forces. At least some of the denizens of Birther Report have adopted the idea that various government plots are directed at them, and their guns. Jade Helm 15 conspiracies bear that out. What is really needed to decide the question is to administer the RWA test to a number of birthers and see how they score. 57 Responses to Are birthers right wing authoritarians? If the conclusion is right, they figure, then the reasoning must have been right. Or, in the birthers’ case: If they believe the conclusion is right, they are willing to believe in any reasoning that appears to have that conclusion. The word “authoritarian” is probably more general and therefore a better choice than “fascist”, but I tend to equal the two. When I was in high school, the year before i took the baccalaureat exam (I was 18 then), in order to perfect my Spanish (second language) I spent some time in Madrid. This was in 1972, when Franco was very much alive, and had in fact ordered the garroting of some opponents not so long before. As a French tourist, I was 98% insulated from the fascist environment — not so many black shirts in night clubs for rich Frenchies — but I do remember well the general pervasive gloom that hung over the city and the presence of men in black shirts who weren’t in guardia civil uniforms but seemed to generate fear and unease as they passed. Basically, one learned to toe the line, keep one’s mouth shut, and stay out of trouble. In France we had just experienced the May 1968 events and were in full hippie bloom (so to speak) and that was a frightening, eye-opening experience. I’ve gone back to Spain a couple of times since then, but I was never entirely able to shake that first impression. I would say that authoritarians (in the sense of high scores on the RWA test) are proto fascists. Lupin: The word “authoritarian” is probably more general and therefore a better choice than “fascist”, but I tend to equal the two. So when I think this, I know it is an error. Dr. Conspiracy: I would say that authoritarians (in the sense of high scores on the RWA test) are proto fascists. I was in a hurry when I posted the last link (doing two things at once. It’s been years since I read the paper on the Global Change Game, and I’m having trouble finding it now so I posted something that mentions it.) The problem with the conclusions in the last link that I posted is that they mistake Right Wing Authoritarians with always being right-wing politically. They apparently didn’t read Altemeyer’s book. Altemeyer does NOT state that all RWA’s are conservative republicans, they could be far left ideologues as well, but they share certain traits that make them authoritarian and many more RWA’s are conservative than liberals. Thanks for the reading recommendation, will check it out, too. Authoritarianism, in the sense of being obsessed with invoking authority in a shamanistic fashion, like any argument from any authority no matter specious will conquer all like the Ark of the Covenant, is winguts most striking feature (to me). It’s “because I say so” drug in from the playground and shabbily dressed up. That anyone expects such assertions to fly, much less anyone else actually pay attention to them, boggles me. JPotter: It’s “because I say so” drug in from the playground and shabbily dressed up. I have often said they act more like impudent children than rational adults. hmmm…. what about the appearance of impropriety ? U R being too hard on the birthers. scott e: what about the appearance of impropriety ? What about it? Was something improper or only APPEARED to be improper to someone with limited understanding of a situation? I find that the word APPEARANCE is placed quite prominently in your question – do you think that something APPEARING to be improper is an offense that should be indicted?,Prosecuted? Is a person innocent until proven guilty or are they guilty because you see an APPEARANCE of impropriety without proof that the situation was actually improper? Scott, you may see something that you THINK is improper because you lack the ability to understand NUANCE (most authoritarian types do)…. but you seem to ADMIT that there is only the APPEARANCE of impropriety and not actual impropriety. Give examples and tell me, what do you think the effect of the cause (of the appearance of impropriety – not actually proved impropriety, just the appearance, as that is what you are asking) should be? What do you think should happen because of the appearance of impropriety? U R being too hard on the birthers. 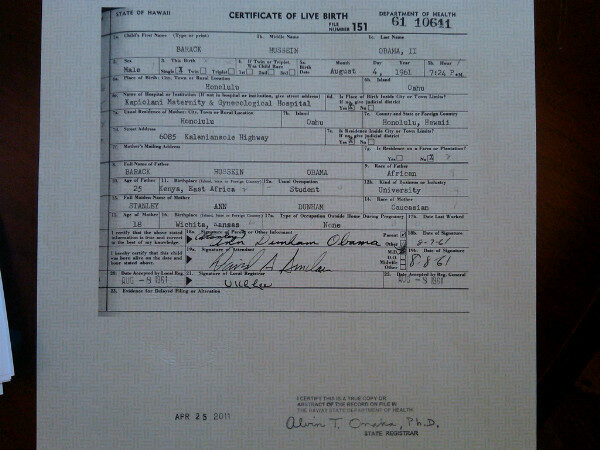 It is impossible to be too hard on birthers. They deserve all of the ridicule which is heaped upon them. Obama claims to have received two certified copies of his LFCOLB from Loretta Fuddy. Obama posted one PDF image of a purported certified copy of his LFCOLB on the White House website. Obama has two certified copies of his LFCOLB. Thank you for providing an excellent example of birther errors in thinking to illustrate my article. The birthers always buy into incomplete versions of the facts, cast to support the conclusions they have already drawn. It is not only Obama who says he has 2 certified copies from Hawaii. The Hawaii Department of Health says so too. Despite all my efforts, you can lead a birther to the facts, but you can’t make them think. Hermitian: Obama claims to have received two certified copies of his LFCOLB from Loretta Fuddy. Hermitian: Obama posted one PDF image of a purported certified copy of his LFCOLB on the White House website. I have two certified copies of my birth certificate. When I applied for my passport, I provided one of them. Apparently that is proof that the other copy is a forgery. Do I have that right? Um, no: it’s three statements of fact, with nothing else to posit or prove any relationship among them, or describing any conclusion to be drawn from them. If you think that’s “logic”, it might explain some of the strange things you’ve written. The State of Hawaii confirms it gave Pres. Obama two certified copies and that the PDF of the one posted is genuine. Hermitian was let out of his cage again? Wow, 5 months of witless protection, and you break cover to post that? The Judge Wingate ruling must have really left you reeling. So let me get this straight, you’d have shut up if he scanned copies of both documents and posted them online? Maybe — Maybe not. It would depend on whether or not the two scanned images are identical. Hey, Hermione, any comment on Judge Wingate rejecting Dr. Orly’s ballot challenge turned RICO claim almost two months ago? You spent months, nay years, claiming he would frogmarch that uppity black dude out of the WHITE House. There is probably a very sad explanation for these long absences of his. Pity the fool for continuing to waste his time in his usual manner, but hopefully being able to do so reflects some recovery on his part, rather than a relapse. In his letter to Director Fuddy, President Obama requested two certified copies of his long form birth certificate. In her letter to Director Fuddy, Judith Corley said that President Obama was requesting two certified copies of his long form birth certificate. In her letter to President Obama, Director Fuddy said she received the President’s request for two certified copies of his long form birth certificate and was enclosing the two copies of his long form birth certificate. She also attested to the “authenticity of these copies”. The press statement from the Department of Health says that President Obama requested two certified copies of his long form birth certificate, that the HDOH granted his request and that Judith Corley picked up both copies on April 25th, 2011. Birthers shouldn’t be allowed to use words like “logic”. Of course if I had it my way, they wouldn’t be allowed unchaperoned internet access either, but that’s beside the point. gorefan: What is your point? 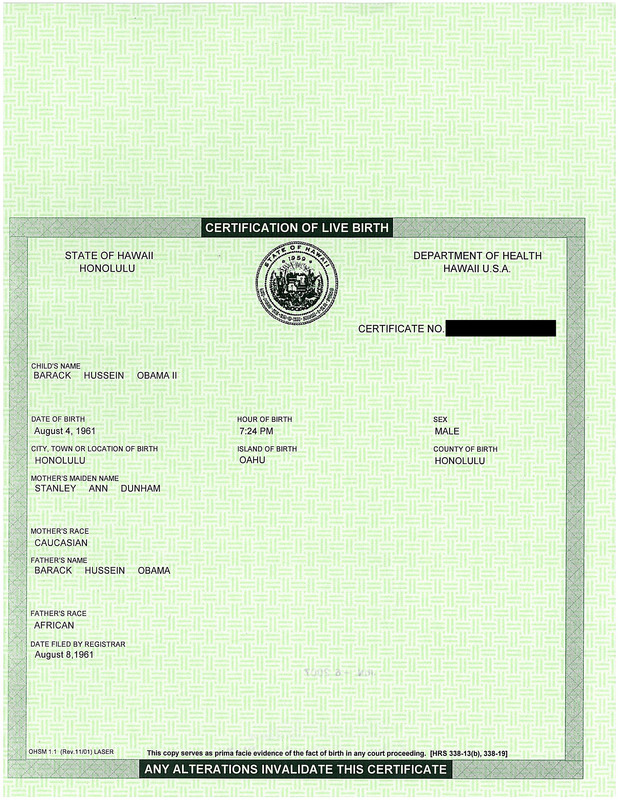 In his letter to Director Fuddy, President Obama requested two certified copies of his long form birth certificate.In her letter to Director Fuddy, Judith Corley said that President Obama was requesting two certified copies of his long form birth certificate.In her letter to President Obama, Director Fuddy said she received the President’s request for two certified copies of his long form birth certificate and was enclosing the two copies of his long form birth certificate.She also attested to the “authenticity of these copies”.The press statement from the Department of Health says that President Obama requested two certified copies of his long form birth certificate, that the HDOH granted his request and that Judith Corley picked up both copies on April 25th, 2011. Apparently that, for some reason, Obama should be expected to provide images of both copies, because you know, images of multiple copies would somehow be more informative. Or: “obviously its the same document… What happened to the other one? If you follow the logic (if one can call it that) of the Birthers where each candidate must prove with court-admissible evidence of his or her eligibility, a candidate would need not one copy, not two copies, but 58 copies, for every jurisdiction in which delegates are selected. JPotter: Apparently that, for some reason, Obama should be expected to provide images of both copies, because you know, images of multiple copies would somehow be more informative. I figured it would have to be something stupid like that, after all this is Hermie. I just wanted him to spell it out so we could all get a good laugh. Hermie must have tired of getting embarrassed at Amazon. I haven’t seen him in a while. Hermitian: Obama has two certified copies of his LFCOLB. And in addition to THAT, he has several more copies of his standard (short form) birth certificate that ALSO can serve as Prima Facie evidence of the fact of birth in the state of Hawaii in a court proceeding.” Woo hoo! 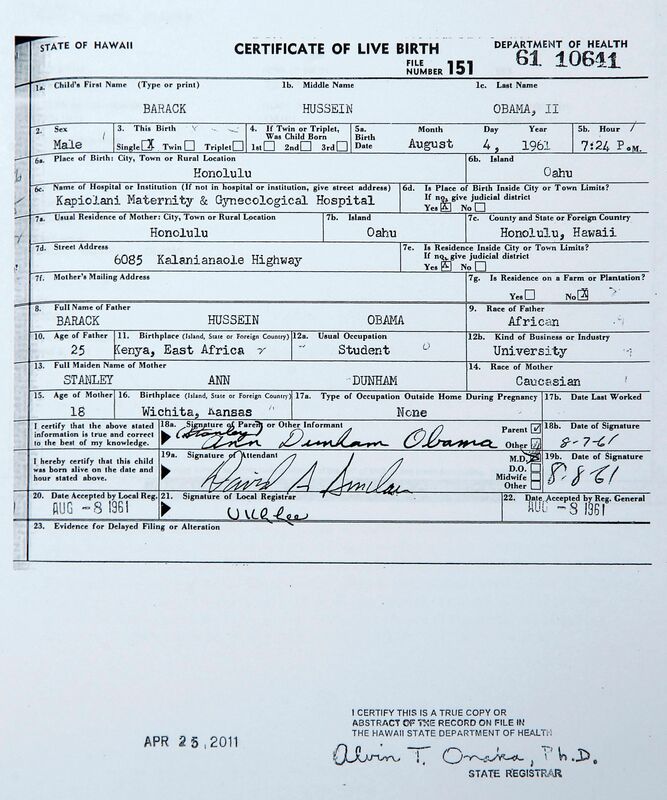 The president is literally CRAWLING in birth certificates. bgansel9: Hey, let’s REALLY blow your mind, Hermie. 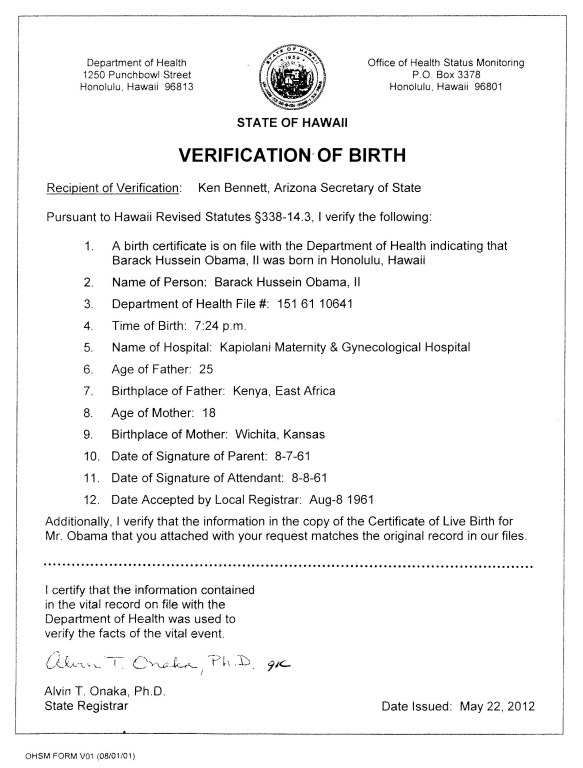 Not only does Obama have two copies of his LFBC, but BOTH of them can serve as Prima Facie evidence of the fact of birth in the state of Hawaii in a court proceeding. How can THAT be? And in addition to THAT, he has several more copies of his standard (short form) birth certificate that ALSO canserve as Prima Facie evidence of the fact of birth in the state of Hawaii in a court proceeding.” Woo hoo! The president is literally CRAWLING in birth certificates. What could possibly be more suspicious, eh? hermitian: It would depend on whether or not the two scanned images are identical. The *images* would not be identical (as no two scans of even the same physical object on the same scanner are identical, and even the two certified copies may vary slightly) but the contents of the original certified copies are identical. But of course if we were shown two images, birthers would endlessly obsess over how some pixels on one copy are not on the other copy and how this proves forgery, or how both scans are identical pixel-wise and how this proves forgery. So after 6 years, Hermi’s endgame is “if only I get to see a scan of the *other* copy, this would all go away”? *lol* How the mighty have fallen. The Magic M (not logged in): The *images* would not be identical (as no two scans of even the same physical object on the same scanner are identical, and even the two certified copies may vary slightly) but the contents of the original certified copies are identical. Not only would the scans of “identical” copies differ, the copies themselves would differ, due to variation in the alignment of paper when printing, vagaries in application of toner during printing, and of course each copy would be stamped in differing places and at differing angles, levels of ink, and with differing patterns of pressure. When it comes to pleasing a birfer, it’s always damned if’n you do, damned if’n you don’t..
and they wonder why the president won�’t `release his records�’? The two images better not be identical because the certifying signature and date stamps should have been applied by hand and therefore would be different in detail and position. But, anyhoo, Obama can’t release two different images because the forger only created one digital PDF image. Based on photographs of the long form taken by reporters, your suggestion proves false. Hermitian: But, anyhoo, Obama can’t release two different images because the forger only created one digital PDF image. You must be referring to the Polland forgery of the Obama COLB PDF image? That’s the one that Obama posted on the White House website. You remember, the one with the redacted BC number. So that COLB image can serve only as Prima Facie evidence of forgery. And it’s the only copy in Obama’s possession. Too bad! That’s another strikeout for you. If you mean the multiple digital copies of the one paper copy in the reporter’s handout package? Which goes back to another important piece missing from the investigation…why didn’t they interview EYEWITNESSES TO THE DOCUMENT? You know that’s not what I mean. Hermitian: If you mean the multiple digital copies of the one paper copy in the reporter’s handout package? If you’re really suffering from memory loss, you might want to see a medical professional. If you’re just playing the troll, go away. Hermitian: You must be referring to the Polland forgery of the Obama COLB PDF image? That’s the one that Obama posted on the White House website. You remember, the one with the redacted BC number. So that COLB image can serve only as Prima Facie evidence of forgery. And it’s the only copy in Obama’s possession. We have both Hermitian and john posting a bunch of dumb crap, I’m starting to have flashbacks from a few years ago. Hermitian: The two images better not be identical because the certifying signature and date stamps should have been applied by hand and therefore would be different in detail and position. Why, if they were processed at the same time? Hermitian: That’s the one that Obama posted on the White House website. Do you realize how crazy you sound? How did someone else get a copy of the document first? The allegation is that when the White House put together material for the press in 2011, that they used an image of the short form birth certificate that they got from Snopes.com, and further that the Snopes image was not one originally from the Obama Campaign, but one Ron Polland fabricated and put on the Internet. Polland admitted that he had switched images at his photo sharing sharing site, further complicating the claim. I never was able to see how the argument from Polland actually demonstrated what he claimed, and even if it were true, it would have no significance that I can see. bgansel9: Do you realize how crazy you sound? How did someone else get a copy of the document first? Dr. Conspiracy: I never was able to see how the argument from Polland actually demonstrated what he claimed, and even if it were true, it would have no significance that I can see. Still contained the same information. bgansel9: What about it? Was something improper or only APPEARED to be improper to someone with limited understanding of a situation?I find that the word APPEARANCE is placed quite prominently in your question – do you think that something APPEARING to be improper is an offense that should be indicted?,Prosecuted? Is a person innocent until proven guilty or are they guilty because you see an APPEARANCE of impropriety without proof that the situation was actually improper?Scott, you may see something that you THINK is improper because you lack the ability to understand NUANCE (most authoritarian types do)….but you seem to ADMIT that there is only the APPEARANCE of impropriety and not actual impropriety.Give examples and tell me, what do you think the effect of the cause (of the appearance of impropriety– not actually proved impropriety, just the appearance, as that is what you are asking) should be? What do you think should happen because of the appearance of impropriety? it was a reference to the arpaio civil suit. Rickey: It is impossible to be too hard on birthers. They deserve all of the ridicule which is heaped upon them. isn’t that confirmation bias ?? actually the political ideologies come full circle somewhere between libertarian and super left super right. i can only speak for myself, but i am the opposite of authoritarian. it’s a fair question. why this need to lump everyone together ? That’s what you get from taking the brown acid when you were warned against it.